Is anyone else dealing with the sickies right now? L was only at school one day this week and E has a cough and a fever. I’ve been feeling pretty crummy too but M was super awesome in letting me snooze the day away today! Last weekend was my soon-to-be sister-in-law’s wedding shower and I was super excited for the gift I pulled together for her. It started with a cookbook stand from the registry. It seemed like bad luck to give the stand without a cookbook so I found one specific to newlyweds at my local book store. The first diy was personalized bamboo cooking utensils using stickers, tape, paint and Mod Podge. I forgot to take pictures of the process but this project was relatively simple. 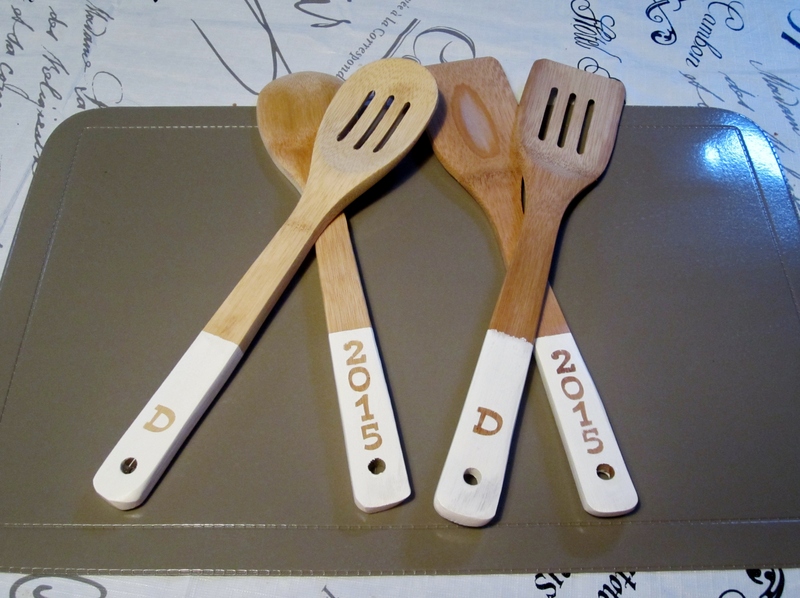 On one side of each utensil, I placed a “D” sticker (to represent her new last name) and “2015” on the other side (to represent the year they are getting married). Then I taped off a line on the handle so the paint only went part way up. I painted 3 coats of paint and once dry, I very carefully peeled away the stickers to reveal the unpainted wood beneath. I then sealed the paint with a couple layers of Mod Podge. 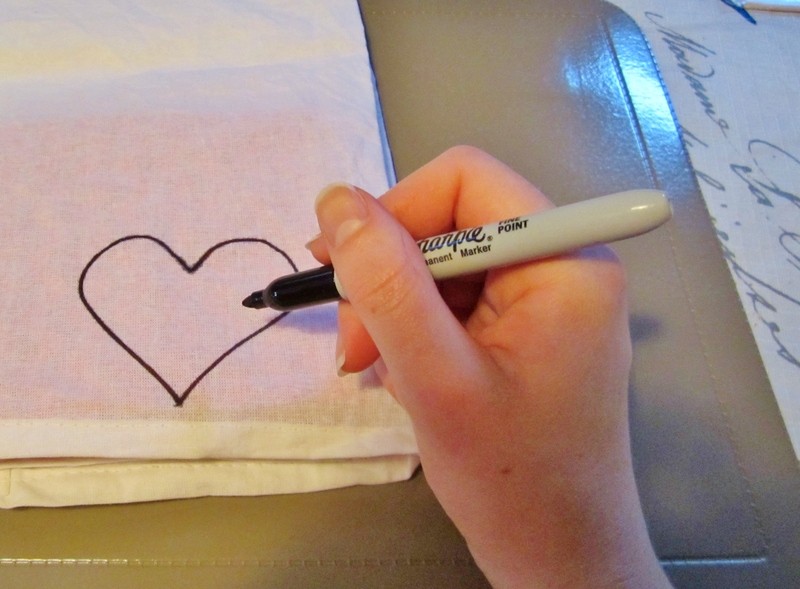 The next diy was a monogrammed tea towel. This was was also simple (and much less time intensive than the previous project. 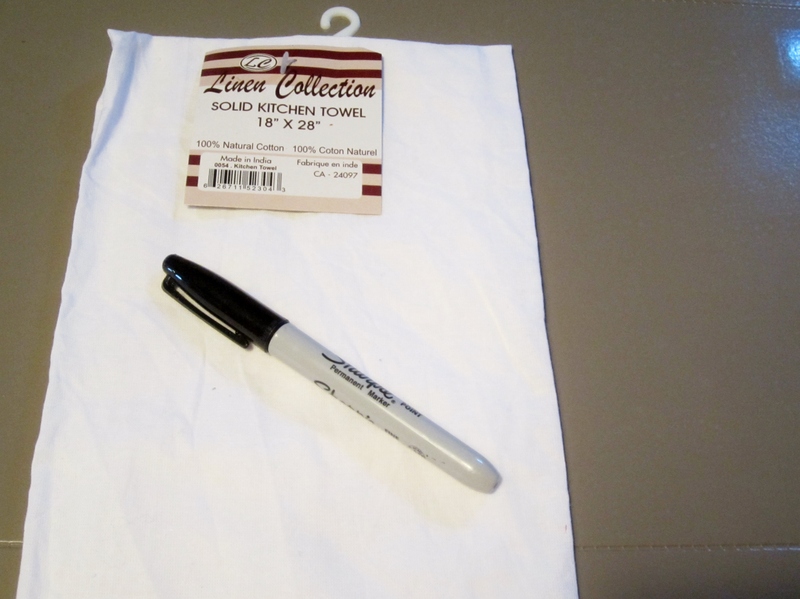 I found a linen tea towel from the dollar store and drew my design with a Sharpie. 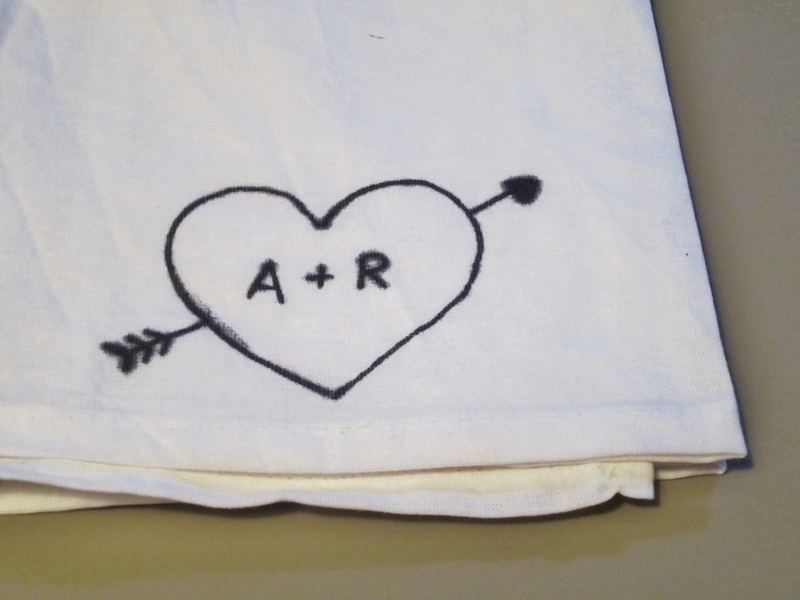 I went with a heart with their initials. 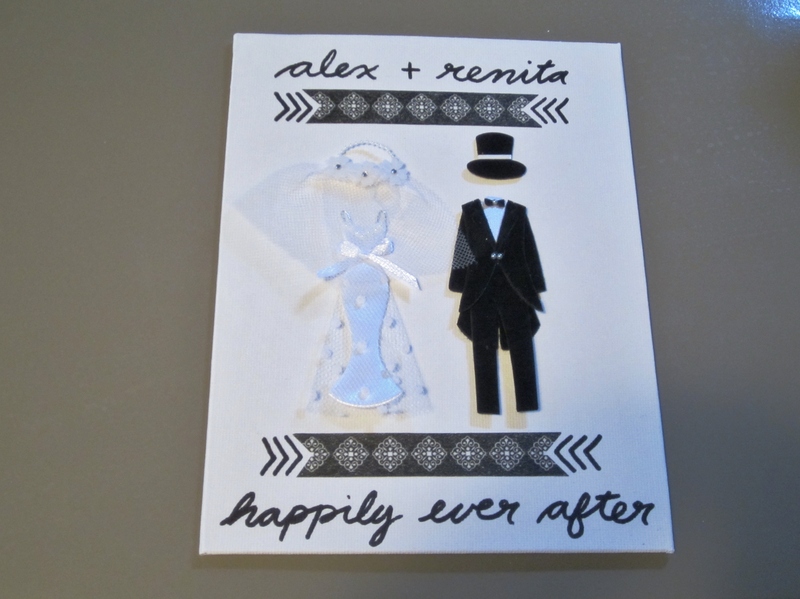 My last diy was a mini canvas that served as a card/keepsake. 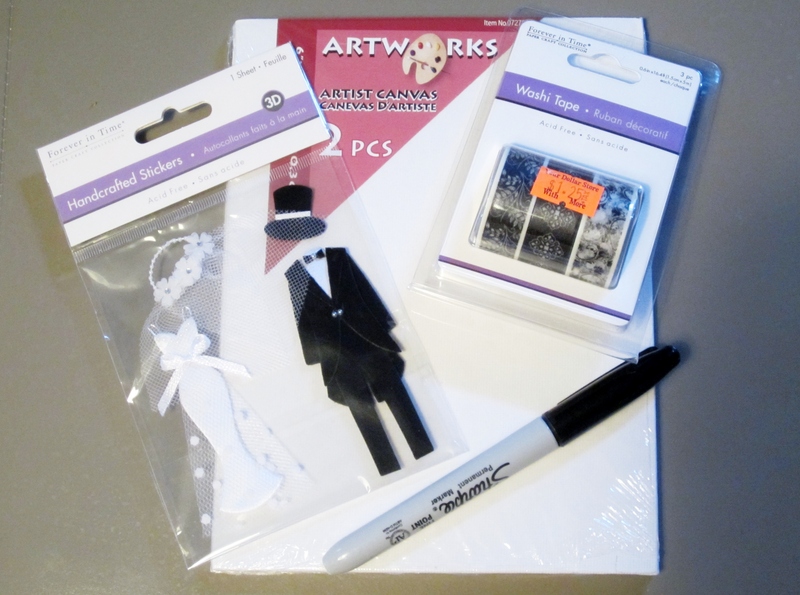 I used a mini canvas, bride and groom stickers, washi tape and a Sharpie. I loved how this one turned out!